Before getting started with your new AIR or Sonivox plugins, they'll first need to be authorized. While there are several ways that you can do this, the most efficient method is entering the license directly into the iLok License Manager. This article walks through the easiest way to create an account and authorize your new plugins, as well as tips on deactivating and moving licenses for use on other computers. I authorized my license with the software's authorizer and now I can't activate on a different computer. What do I do? 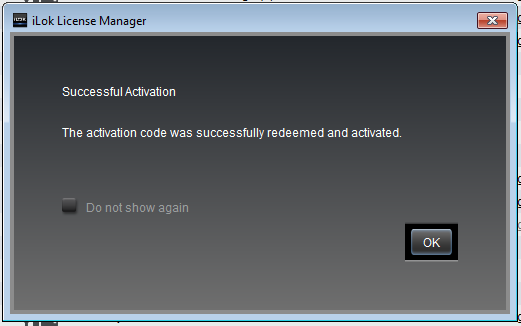 When I attempt to redeem my activation code, I get an error stating the redemption limit has been reached. What do I do? 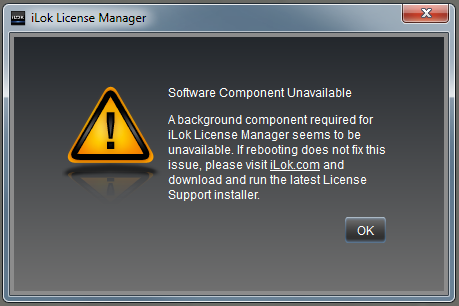 When I try to open iLok I get an error stating "Software Component Unavailable." What do I do? iLok can be tricky and there are a few points that you should keep in mind upfront. One activation code authorizes up to two devices at a time. For example, this could include two computers or (1) computer and (1) iLok dongle. License activation requires an active internet connection. If the target computer does not have access to the internet, the license will need to be activated to an iLok dongle using a computer with an active internet connection. A license can be activated through the software authorizer or through the iLok License Manager directly. 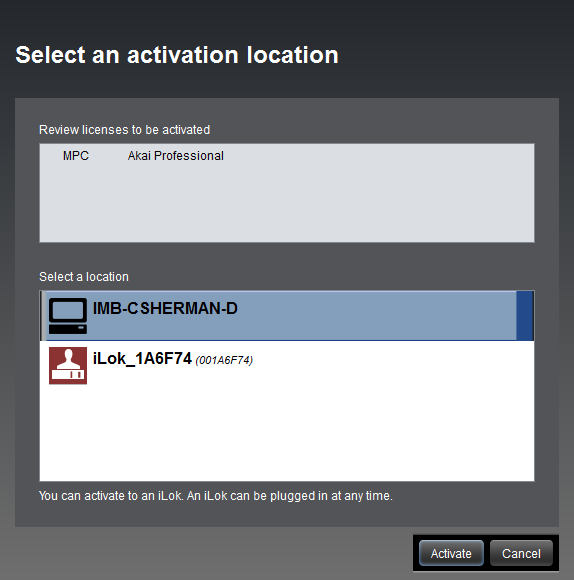 A license can be deactivated using the iLok License Manager, allowing you to transfer an authorization to a different computer. If the license is placed on a computer and that computer fails, or the operating system is re-installed without deactivating the license, that license is permanently lost. To avoid permanently losing any licenses, you can choose to save the license to an iLok key (sold separately) or deactivate the license before making changes to the system. In the following guide, we'll show you how to make the most of your authorizations by keeping track of their location and preventing loss. If you experience any errors during this process, be sure to visit our troubleshooting section at the bottom of the guide. While all of our plugins can be activated through their designated authorizer applications, in some cases it's more efficient to just enter your authorization code directly into the iLok License Manager. Find and open the iLok License Manager from your Programs or Applications folder. The license manager is installed with the plugin so there is no need to run any additional installations. Click on Sign-In in the top left corner. If you have used iLok before with other products and have an account, sign-in to your account. If you have never seen or used iLok before, click on Create New Account in the Sign In window and follow the prompts to create an account. Please note: We recommend using an iLok account. Signing in is not always necessary to utilize an iLok license, but having and using an account to keep track of your licenses is free and provides additional features and options for managing and moving your licenses when necessary. 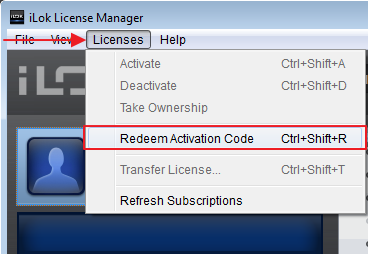 Once you are logged in, click on Licenses at the top of the window and choose Redeem Activation Code. A window will appear with space for you to enter an authorization code. Find the Authorization Code for your plugin. If purchased alone, the plugin authorization would have been sent to you in an email along with a download link. If your AIR or SONiVOX plugin came with a keyboard or other product, your plugin authorization code can be found on your account page after registering that product on the brand's website. Copy and paste this code into the first box on the left and the code will fill out the remaining fields. When you're ready, click Next. You will be prompted to choose a location for your license. You are free to choose an iLok dongle if you have one, but for most users, just choose your computer (this will be the option with the computer icon on the left) and click Activate. You will be asked to confirm this one more time. Click OK. Finally, iLok will notify you when the activation is complete! Repeat steps 3 - 8 to authorize any additional plugins. Deactivating a license can come in handy if you need to authorize the software on a new computer and need to free up an authorization. The license can then be transferred to your iLok account and moved onto the new computer or iLok by logging into the iLok License Manager on the new computer. Please note: This process requires an iLok account. Open the iLok License Manager. Log into your iLok account. If you did not create an account when first installing/authorizing the software, you will need to create a free account now. In the left column, select the hard drive or iLok on which the MPC software license exists. For example, in the image below the MPC license is stored on the host computer. 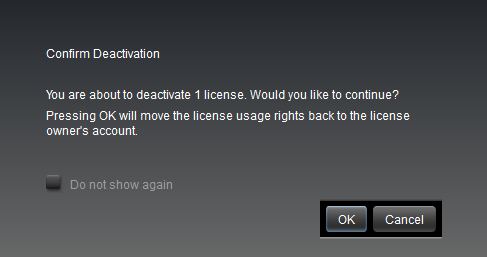 Right-click on the associated license and choose Deactivate. Note: If Deactivate is unavailable, that may mean the license was initially activated without creating an iLok account (i.e. through the software's authorizer). You will need to first right click and select Take Ownership to add the license to your account before you can make the transfer. See the Take Ownership section below for complete instructions. Click OK to confirm deactivation. 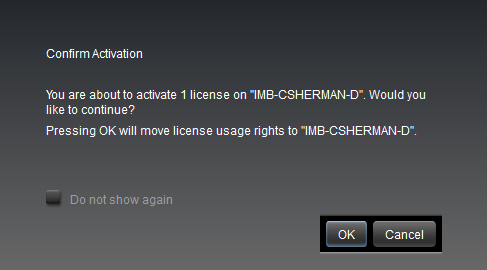 Once the activation is complete, go to the new computer and open the iLok License Manager. You can find this in your Programs or Applications folder. 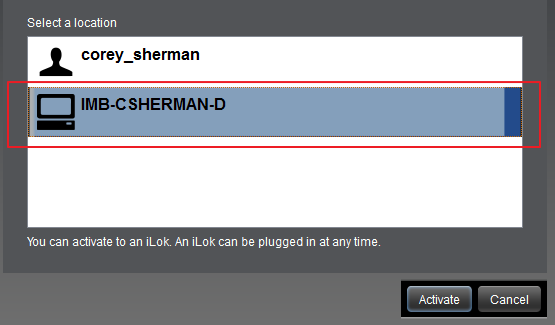 Log in to your iLok account by selecting Sign In in the top-left. Click on your account in the top left, and find the software license. Right-click on the license and choose Activate. You will be prompted to choose a location to store the license. Use this opportunity to choose your host computer or a connected iLok dongle. Choose one and select Activate. 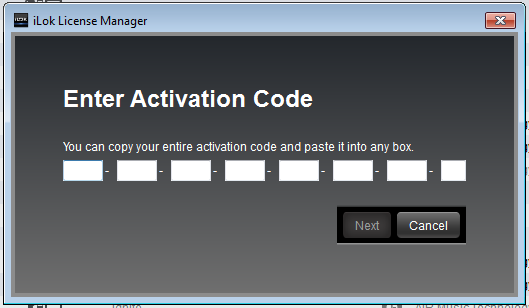 Click OK when asked to confirm the activation. Congratulations! You've transferred your license to a new computer. 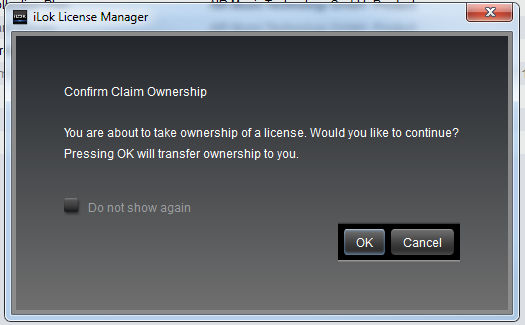 Go to your computer where the software is authorized, open the iLok License Manager and create an iLok account as described above. On the left side of the License Manager, select your computer's hard drive where your license will inevitably be stored. Find and right-click on your license in the main window. Select Take Ownership from the list. iLok will ask to confirm the request. Click OK.
You will now be free to deactivate and transfer the license. The good news is that this does not automatically mean that your license cannot be used. If the license has already been redeemed to your iLok account once, it does not need to be redeemed again. As long as you have activations available for the license, you will be able to activate again. Sign in to your iLok account if you have not already. With the account view selected, you will see a list of your redeemed licenses in the box on the right. Right-click on your license and choose Activate. When prompted choose a location to store the license (i.e. computer or ilok) and click Activate again. 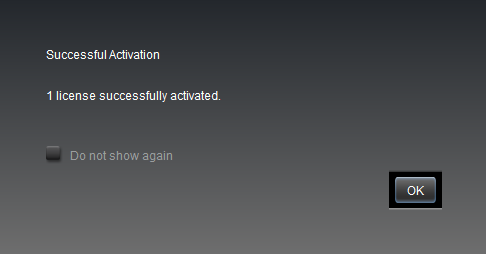 Finally, iLok will notify you when the activation is complete. Close the iLok License Manager, navigate to the Windows Control Panel and select Administrative Tools. In the Services window, locate Pace License Services and double-click on it to open the properties. Set the Startup type to Automatic and click on Start to start the service. Click Apply, close the windows and re-open the iLok License Manager. Want to learn more about how the iLok License Manager works? Simply follow this link to find out! Whether you are a customer or dealer, if you already own an AIR product, or if you just have pre-sales questions, the AIR technical support team is available to help!